I'm not sure about your city, but Houston is just a hop, skip, and a jump away from summertime! We're up to the 80s these days, so it's about time Mr. TBS and I break out our homemade lemonade. (This lemonade adds serious flair to our refrigerator since we only every has water and rice milk.) If you plan on having lemonade at home, too, don't waste your money on the store-bought, chemical-laden kind. This is much simpler. I promise. This recipe uses stevia, not sugar or artificial sweeteners. Friends, can you please do me a favor and never use Splenda, Sweet 'N' Low, Equal, or NutraSweet ever again? (And stop drinking all of those diet drinks that have aspartame!) 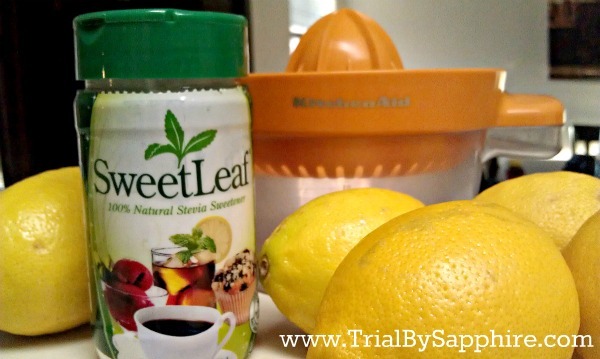 Use stevia as your sugar substitute. You can learn more about stevia at Livestrong.com, NaturalNews.com, and Stevia.com. 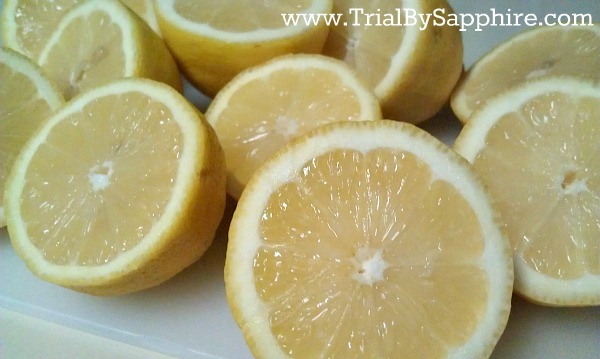 1) Squeeze 1 lemon into an 8oz glass. 2) Fill glass with drinking water. 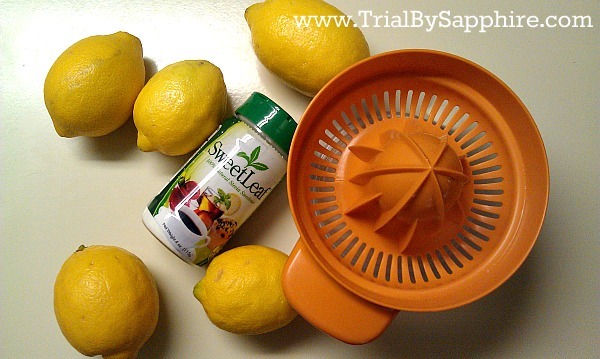 1) Using a citrus press, juice 8-10 lemons and pour into pitcher. 2) Fill pitcher with drinking water. ** If you're feeling extra fancy, add chopped strawberries and chill overnight. You won't be disappointed! Too easy, right? Now go do it. YUM! This sounds great! I'm going to make it today. :-) Hope you are doing wonderful! yum! i could drink lemonade every day ... but i use the crystal light packets. :) i'm lazy. Those lemons scream summer to me! I'm so jay about your 80-degree weather!! My fam just loves to call me and boast about their HOT weather too in Cali..while I sulk in this rain and 40-50 degree weather :/ WOMP!! I love homemade lemonade!! I usually make simple syrup for mine, though- I've got an insane sweet tooth, but I add enough lemons for a great tart/sweet balance!! Also, *high-five* on the get-rid-of-fake-sweeteners campaign- I am also on that platform!! I usually stick to raw sugar, but stevia is great, too!! I use Truvia as a sweetener...does that pass the big sister test? Obviously I need to do this immediately. That lemonade looks SO GOOD!! And I love stevia. Absolutely no aftertaste. It is wonderful. I'll have five glasses, please. Agreed...store bought stuff is YUCK. I'm all about the natural these days. Yum. My mouth is watering. Literally. I just had to swallow a bunch of saliva. Haha. Can that be my welcome drink? I want this right now!! I've never used stevia (as you know, I am more into salt than sugar), but now I'm intrigued. Fresh lemonade would be so divine right now! Well doesn't this look delicious. I am a new follower to your blog and I can't wait to follow along in the future. Have a great weekend!